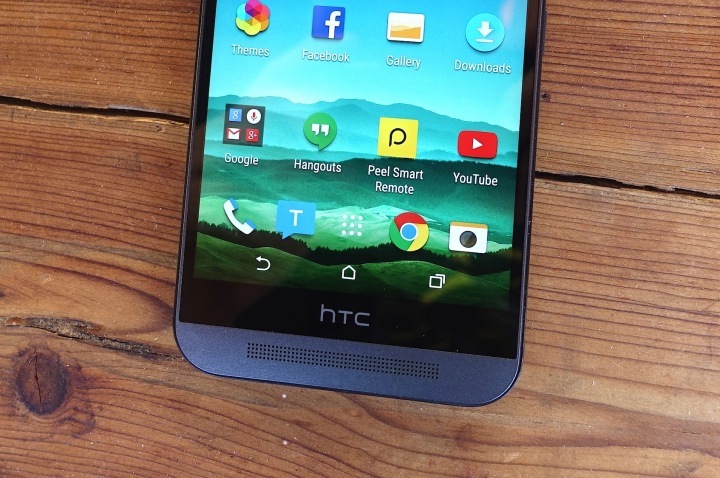 Like many other Android smartphones, applications on the HTC One M9 are usually accessed and launched using the All Apps icon on the Home screen. The Apps screen is comprised of various apps pre-installed on the phone as well as those you downloaded and installed on your device. Please note that available applications may vary between carriers. Some carriers opted to add or remove certain apps to/from the phone. Tapping an app on the launch bar located at the bottom of the Home screen. Tapping the All Apps icon to open the Apps screen, and then tap the app you want to launch or use. Tapping the Search icon on the Apps screen, and then enter the name of the app you want to open. You can also open an app or folder from the Lock screen by dragging the app or folder up on the lock screen. Doing so will unlock the screen and so you can directly go to the app or folder to use. You may be prompted to provide your credentials before your opens the app or folder, if you’ve set up a screen lock on your device. Tap the SwitchBrowserTabs icon to view recently opened applications. To switch back to an app, simply tap on it. To remove an app from the list, drag the app up. To clear the recent apps list, tap the Close icon (X). Tap the Menu icon (three-vertical dots). Choose between Card View or Grid View. Scroll to the top of the screen while viewing content like weather or mail inbox. Use your finger to pull down the screen, and then release to refresh. Follow these quick steps to personalize the Apps screen and rearrange the apps and change the layout according to your preference. Tap the All Apps icon. Choose the way you want to arrange the apps. For example, sort them alphabetically. Otherwise, select Custom if you want to group apps into folders or rearrange them. Touch and hold an app or folder. Drag the app towards another position on the same page and wait until you see the occupying icon moves away before release your finger. Drag the app to the DoubleArrowDown icon or DoubleArrowUp icon to move it to another page. Tap the CheckMark icon, when you’re done moving apps and folders. Now, open the folder by tapping on it. Touch and hold an app from the folder, and then drag it out of the Apps screen. Wait until the occupying icon moves away before releasing your finger. Tap the CheckMark icon when you’re done removing apps. Choose the apps you want to hide, or remove the check from their boxes to unhide them. Tap Done when you’re finished hiding/showing apps. Swipe right or left until the HTC Sense Home widget displays. Unpin an item – Press and hold an item until you see the unpinning progress bar is complete. Press and hold the folder, app, or shortcut you want to add to the widget. Drag the item to anywhere you want it to be placed in the HTC Sense Home widget. Doing so will add the shortcut, folder, or app to the HTC Sense Home widget and pinned it in place. Tap the All Apps icon on the Home screen. Tap App notifications to continue. Tap the app you want to manage or configure. Alternatively, you can press and hold a notification in the notifications panel, and then tap the Information (i) icon. Finally, tap the On/Off switch next to Block or Priority depending on what you want to do. The settings you’ve made for app notifications will then be applied to notifications in the Notifications panel and the lock screen.